This issue contains three new book highlights from authors previously published in Indiana Voice Journal. We are proud of all our authors! Be sure to check them out. 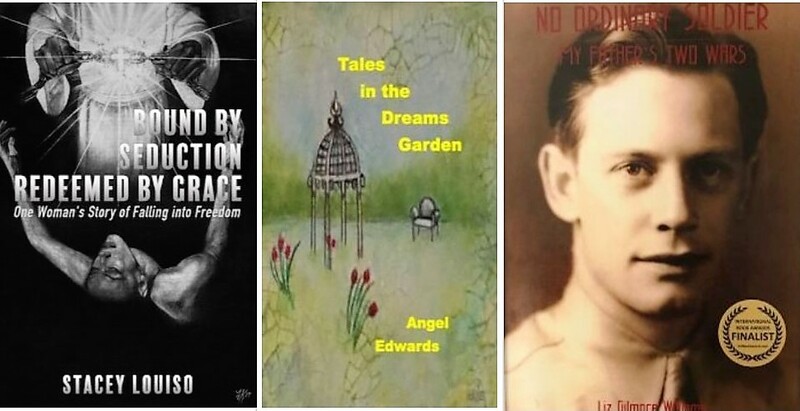 "Bound by Seduction, Redeemed by Grace: One Woman’s Story of Falling into Freedom" by Stacey Louiso; "Tales in the Dreams Garden" by Angel Edwards; and "No Ordinary Soldier-My Father's Two Wars" by Liz Gilmore Williams. Stacey Louiso: "Bound by Seduction, Redeemed by Grace: One Woman’s Story of Falling into Freedom"
THE path to: Understanding, deep wisdom and most importantly, breaking free of the harlot spirit that controlled the very fiber of her being since birth. Jesus Christ found Stacey in troubled waters and forgave her every transgression. He healed her soul while breathing new life into this woman—once bound by seduction, now redeemed by Grace! 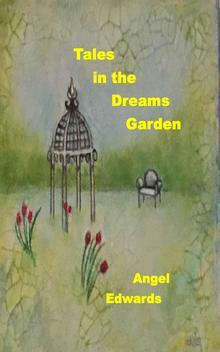 This is more than a book about finding one's faith - it is an instrument of healing. A tool, like litmus paper, to enable people to see they aren't the "only one" tormented and controlled by lust, incorrect and unloving thinking, unforgivingness. Regardless of whether you have been living in self-conflict for 1 year or 30 years - a Christian or not - this story proves there is a way out! The Great Counselor who showed Stacey the way through the dark is no respecter of persons, He can and will do the same for you. 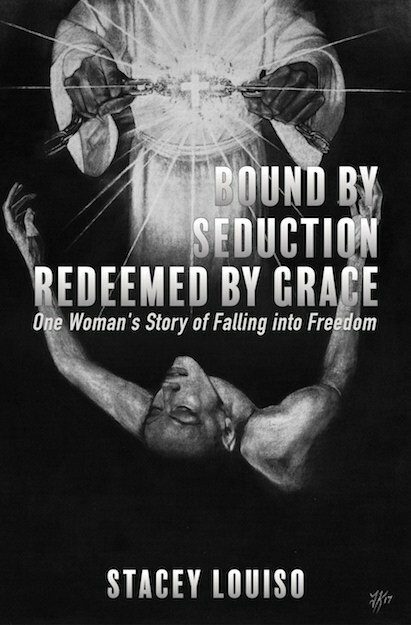 “Bound by Seduction, Redeemed by Grace is thought provoking and insightful. It documents a transformed life, from the grip of Satan’s loins to the mountain top life. K. Williams, New Jersey, U.S.A.
For information on where to purchase Bound by Seduction, Redeemed by Grace, or to connect with Stacey Louiso, click here. Angel Edwards: "Tales in the Dreams Garden"
Liz Gilmore Williams: "No Ordinary Soldier-My Father's Two Wars"
A young man from a gritty Pennsylvania mill town enlists in the Army Air Corps and heads to Hawaii, the "Paradise of the Pacific." There, he and his buddies defend Oahu while it explodes and burns in the bombing of Pearl Harbor. As the war surges, his bomber squadron ships out to primitive Pacific outposts. Amid air raids, stifling heat, and outbreaks of tropical disease, he clings to sanity through the letters he and his wife share, letters found years later saved in the attic. Haunted by his terrifying rages decades after his death, his daughter delves into the letters for clues to his turmoil. 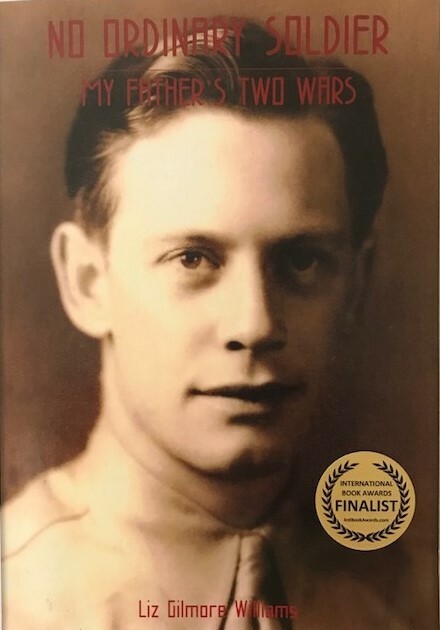 The letters lead her to discover a shocking family secret, not only fulfilling her quest but also revealing a story of war, love, and forgiveness.